In a recent interview; the head of Marvel Studios, Kevin Feige, hinted at the fact that the Marvel Cinematic Universe could be heading for a more female-dominated future. This propels the future of the all-conquering movie empire into previously unknown territory – by comic-book film standards anyway. When been questioned about rumours surrounding the possibility of an ‘A-Force’ film being developed in phase 4 of the company’s money-printing machine (essentially an Avengers spin-off with an all-female roster), Feige began to describe a more woman-centric vision going forward. This would be a huge departure from the usual Marvel sausage-fest. If we cast our minds back to the first Avengers outing all the way back in 2012, Scarlett Johansson’s Black Widow was the sole female representative of earth’s mightiest heroes. This has been a recurring criticism of the studio amid their meteoric success, with the women usually relegated to ‘love interest’ or ‘damsel in distress’ – or both. However, as time has gone on and more comic-book characters have been brought to life, the representation of strong women has steadily been improved, as a number of great characters portrayed by some of Hollywood’s best talent have joined the MCU’s ever-expanding slate of stars. Guardians of the Galaxy introduced us to Gamora (Zoe Saldana) and Nebula (Karen Gillen), two of the most formidable and interesting characters in whole franchise; and the adopted daughters of the mad titan Thanos (who we still haven’t forgiven). 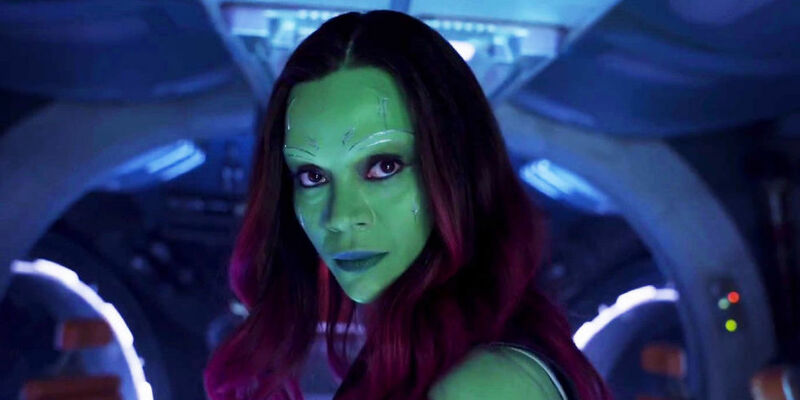 Gamora in particular has the potential to be a real big player in later films; she has established herself as a likeable, yet deeply flawed individual with a lot of room to explore following the events Avengers 4 – assuming that she, you know, survives. We’re also awaiting the arrival of Brie Larson’s Captain Marvel to the MCU; someone who has already been dubbed the most powerful character ever introduced. She looks to set to be one the focal points of all future super-powered endeavours. Whatever your view is on this, there’s no doubt that it does open some interesting avenues for future narratives; which could allow writers to take upcoming storylines in exciting new directions. So, while we may not be any closer to the female team-up movie, we are well on the way to a whole universe of badass women. If that doesn’t scream ‘girl power!’, then what does? This is so important, I love that a male wrote this – stressing the importance of female acknowledgement in any superhero film that aren’t based upon Damsel in Distress or Companion.